The Drummer soil series was adopted in 2001 as Illinois State Soil. The Drummer soil series was established in Ford County, Illinois, in 1929. It was named for Drummer Creek in Drummer Township. White oak, violet, big blue stem, monarch butterfly, whitetail deer, cardinal, and bluegill. What do these things have in common? They are all official state symbols of Illinois. They were so designated to recognize the importance of the state's natural resources. There is a natural resource that is missing from this list and it is one of the resources that truly makes Illinois the special place it is. It is our soil resources!! Drummer soil series consists of very deep, poorly drained soils that formed in 40 to 60 inches of loess or other silty material and in the underlying stratified, loamy glacial drift. These soils formed under prairie vegetation. Drummer soils are the most extensive soils in Illinois. 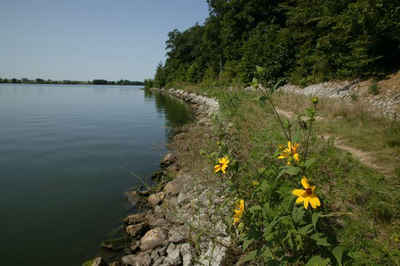 They occur on more than 1.5 million acres in the state. They are the most productive soils in the state. Corn and soybeans are the principal crops. The average annual precipitation in areas of Drummer soils ranges from 32 to 40 inches. The average annual air temperature ranges from 48 to 54 degrees F. Drummer is a fine-silty, mixed, superactive, mesic Typic Endoaquoll. This taxonomic classification is very typical of the wet, dark colored, prairie-derived soils of Illinois. SPRINGFIELD - Governor George H. Ryan today signed legislation naming Drummer Silty Clay Loam the official state soil of Illinois. "Illinois has some of the best crop-producing land on earth thanks to our dark, rich soils," Gov. Ryan said. "This legislation pays homage to our agricultural heritage and to the land that has supported our farmers, our food processors and all of the nearly 25 percent of our workforce whose livelihood is tied to agriculture." The effort to name an official state soil has been spearheaded by Illinois members of the Future Farmers of America, especially the FFA chapters in Monticello and at the Chicago High School for Agriculture Science who secured House and Senate sponsorship of the bill (HB 605). The bill is effective immediately. "It is important that Illinois residents understand the importance of our soils to the economic health of this state," said Illinois Department of Agriculture Director Joe Hampton. "Designating a state soil will bring more public attention to the importance of conserving our rich, crop producing soils." Drummer soils were first identified in Ford County in 1929. It is named for Drummer Creek in Drummer Township, where the soil was first identified. Drummer Silty Clay Loam is the most common of the rich, black soils that cover Illinois and provide some of the highest yielding corn and soybean acres in the country. Drummer soils cover more than 1.5 million acres in Illinois. The legislation was sponsored by Representative Tom Dart, D-Chicago, and Senator Duane Noland, R-Blue Mound. In March 1985, the Illinois Soil Classifiers Association (ISCA) appointed a committee to nominate one soil to represent the soil resources of Illinois as the official state soil of Illinois. This was not an easy assignment! Over 500 soil series have been identified in Illinois, each with unique properties and characteristics, and each with its own argument for consideration for state soil. 1. Since Illinois is the "Prairie State", the state soil should have formed under prairie vegetation. 2. The soil should be a highly productive agricultural soil. It should be "prime farmland". 3. The soil should be extensive in Illinois. 4. The soil should have originated in Illinois and the "type location" should be located in Illinois. 5. The soil should have a "firm" scientific classification that is supported by laboratory data. 6. The soil should have a history of classification and mapping and have been in use for a long period. 7. The soil name must be easily recognized, spelled, and pronounced and relatively well known to the non-soil scientist as well as to the soil scientist. 8. The soil should reflect, in some way, the major soil parent material in Illinois - loess. During 1986 ISCA members were invited to nominate soils based on the established criteria. Seven soils, Cisne, Drummer, Flanagan, Hoyleton, Ipava, Sable, and Saybrook, were nominated. In January 1987, a ballot by mail election was held where ISCA members voted for a soil to be designated as the state soil. 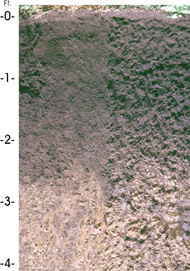 Drummer silty clay loam was selected by more than a 2 to 1 margin over its nearest competition, Cisne silt loam. In the fall of 1992 the Illinois Association of Vocational Agriculture Teachers sponsored a state soil election in their classrooms. Drummer was a 2 to 1 favorite over Sable in those elections. In June 1993, at the FFA state convention, Ipava nosed out Drummer in a vote by FFA delegators. In June 1993, at the statewide 4H Youth Conference, Drummer was selected over the other 6 nominees as the soil to best represent Illinois' soil resources as the official state soil. The Drummer soil series consists of very deep, poorly drained soils that formed in 40 to 60 inches of loess or silty water-laid material and in the underlying stratified glacial outwash. Drummer soils are found on nearly level or depressional parts of till plains and outwash plains throughout northern and central Illinois. The Drummer soils formed under a luxuriant growth of marsh grasses and sedges, that was typical of much of the native prairie at the time of settlement. Soils formed under prairie vegetation are normally dark colored and high in organic matter content. 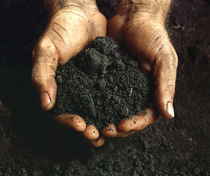 Illinois is known for its "black dirt" with Drummer silty clay loam being the most common. Drummer is one of the more productive soils in the state, It has a productivity index of 150 and qualifies as prime farmland. Most areas of Drummer has been drained and are cropped. Corn and soybeans are the principal crops. Drummer soils are the most extensive in the state. More than 1.6 million acres of Drummer have been mapped in 39 of Illinois' 102 counties. The location that typifies the Drummer soil series is in Champaign County on the University of Illinois south farm. Drummer is a fine-silty, mixed, mesic Typic Endoaquoll. This classification is very typical of wet, dark colored "prairie soils" in Illinois. The Drummer series was established in Ford County in 1929. Soil series are generally named for a geographic location near where they are first identified. The Drummer series was named for Drummer Creek in Drummer Township, Ford County, Illinois. It has good name recognition throughout the state. Drummer soils typically formed in 40 to 60 inches of Peoria age loess (wind deposited silt) and in the underlying stratified glacial drift. A bill designating Drummer silty clay loam as the state soil of Illinois was introduced by Representative Gordon Ropp in the Illinois House in January 1990. The bill passed the House that year but died in the Senate Ag Committee. Representative Ropp introduced another bill in 1991. This time the bill passed the House and made it out of Committee in the Senate. It was defeated, however before the full Senate. Many Senators viewed the bill as trivial legislation not recognizing the educational potential of having a symbol to recognize our soil resources. During the lively debates over the state soil issue Representative Ropp remarked, "Soil has made our state great in terms of its agricultural heritage. Maybe that should have been the symbol we started with." The law designating the soil, Drummer silty clay loam, as the official Illinois state soil is found in the Illinois Compiled Statutes, Government, Chapter 5, State Designations Act, Section 75.